Notice the tiny drops of water on his beak. I feel like I’ve been filling feeders nonstop for the last week. 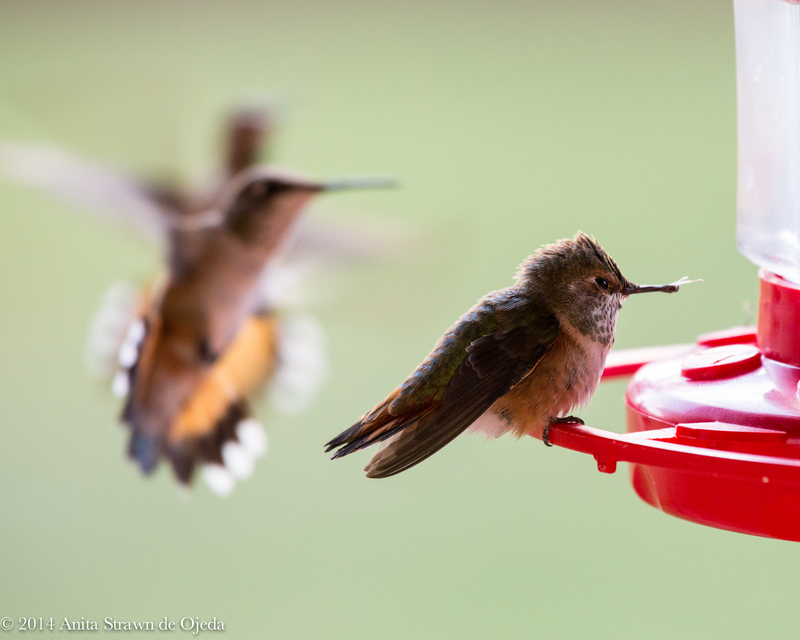 In a mere 12-hour period, the little hummers drain FOUR cups of nectar. 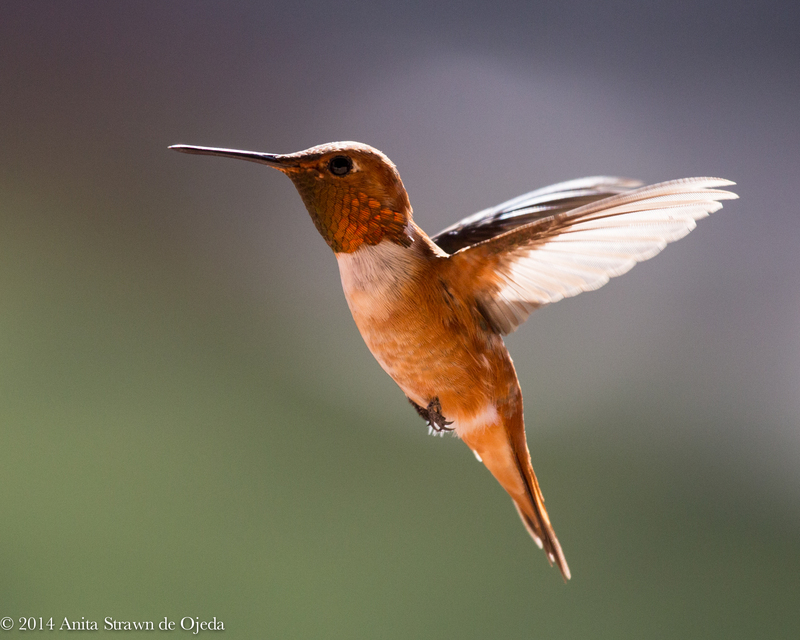 When I put up my first feeder at the start of last summer, we had six or seven regulars that stopped by throughout the day in between sitting on their nests and catching insects—mostly Black-chinned Hummingbirds. This summer, even though I spent six weeks away from home, first my mom, and then my husband faithfully filled the feeders because they know how much I love watching the wondrous little creatures. When I returned home last week, I discovered that fall migration had begun. Along with the usual suspects, three other species of hummingbirds had stopped off at our ‘avian rest area’ for free coffee, um, nectar . And so for the last seven days, I rush to watch the feeders whenever I have a spare moment (and maybe whenever I should be writing lesson plans or cleaning my classroom). In between times, I make more nectar (they’ve already gone through two gallons). I stand on a bench in my home office in the late afternoon when the sun leaves a soft glow over our lawn and open the window next to the feeder. I aim my telephoto lens at the action (it reminds me of a scene from Star Wars with pod racers on a quest) and happily snap away. Between the buzz and chatter of the birds and click of my camera, I find peace from the chaos in my life. When my arm gets tired and the light fades, I rush to download the photos to my computer and marvel at the details that our Creator included in this particular model of bird. By beholding, I become changed. My heart rate slows. I find myself breathing deeply and even laughing as I watch the territorial Rufous hummingbirds try to fend of fifteen other hummers. It doesn’t work, and eventually they settle down and drink their fill. Today a Broad-tailed Hummingbird with a beak deformity landed on the feeder, and the normally pushy Rufous left her alone. 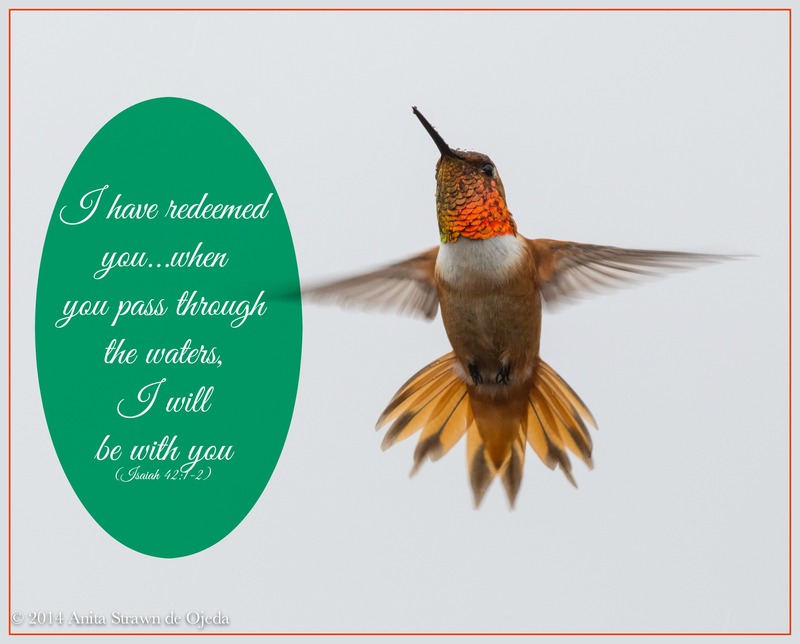 When life seems crazy and full of chaos, bad news and challenges, I know my Creator will fill me with exactly what I need—it could be a tiny bird, a gorgeous sunset or the smile of a stranger.